Pan is the “Greek god of the wild, shepherds and flocks, nature, of mountain wilds, hunting and rustic music, and companion of the nymphs” (Pan, Wikipedia) whose Roman counterpart is Faunus as well as Lupercus, the god of Shepherds. 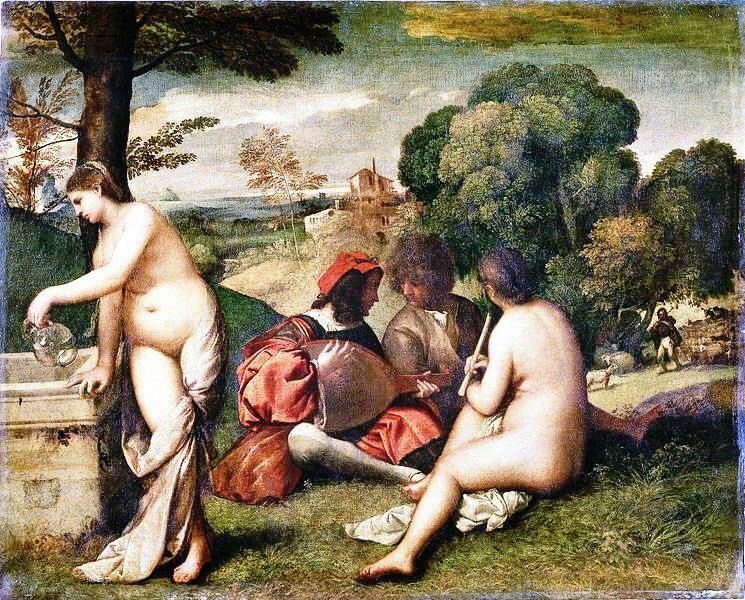 Pan is also the god of all things “pastoral,” such as pastoral music. The Pastorale is a form of Italian music and the word “pastoral” is also used to describe Beethoven’s 6th symphony. Moreover there is pastoral literature. Pastoral literature is rooted in Greek and Roman Antiquity, as is the Lupercalia. Its two Greek and Roman authors are Theocritus[i] (born c. 300 bc, Syracuse, Sicily [Italy]—died after 260 bc), the creator of pastoral poetry[ii], and Virgil. 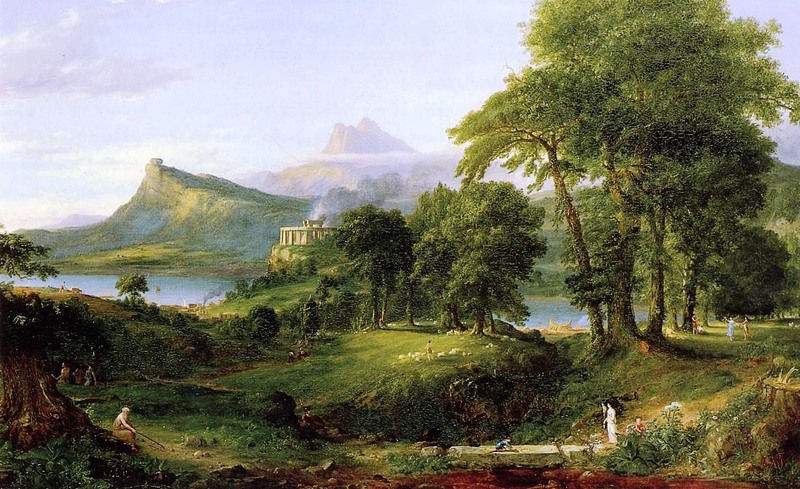 [iii] Virgil or Vergil wrote not only the Aeneid, but also the Egloges or Bucolics and the Georgics. The Egloges can be read online at Egloges, a Gutenberg publication. Closer to us pastoral literature begins with Battista Guarini‘s bucolic tragicomedy Il Pastor Fido[iv] (1580 to 1585), The Faithful Shepherd, set in Arcadia, literally, a region of Greece; metaphorically, an idyllic countryside. Moreover, pastoral, also describes the “perfect” world of 17th-century salonniers and salonnières who made believe they were shepherds and shepherdesses. Préciosité was escapism at its worst or its best, depending on one’s point of view. Seventeenth-century Précieuses (literally, precious) put such a high price on marriage and sexuality, that they often made suitors wait a very long time. French dramatist Molière[v] ridiculed the Précieuses in Les Précieuses ridicules (Théâtre du Petit-Bourbon, 18 November 1659). Préciosité was a lifestyle. It was courtly love carried to an extreme, i.e. platonic love precluding sexuality. Préciosité is therefore at the opposite end of the Lupercalia which celebrated fertility. Lupercus was god of shepherds, but not the imaginary shepherds and shepherdesses of précieux convention, nor the raucous Luperci of the Lupercalia, but Christopher Marlowe‘s well-mannered yet “passionate” shepherd, associated with courtly love, idyllic love that does not exclude sexuality. Earlier in my new career as blogger, I wrote a post about Marie-Antoinette, an accomplished musician who composed a lovely “pastorale” that straddles the less rigid conventions of courtly love and Christopher Marlowe’s “The Passionate Shepherd to his Love.” Courtly love’s masterpiece, sometimes considered too daring, is the Roman de la Rose, The Romaunt of the Rose, an allegory of love translated, though not in its entirety, by Geoffrey Chaucer. Chaucer (c. 1343 – 25 October 1400) can in fact be credited with the birth of Valentine’s Day as we know it, a matter discussed in my next post. However, Chaucer was influenced by a tapestry, La Dame à la licorne (The Lady and the Unicorn), housed at the Cluny Museum, in Paris. The Unicorn is a mythical animal that can only be captured by a virgin. However, the Unicorn is also a trans–cultural figure, hence multi-faceted. [i] “Theocritus”. Encyclopædia Britannica. Encyclopædia Britannica Online.Encyclopædia Britannica Inc., 2013. Web. 13 Feb. 2013 <http://www.britannica.com/EBchecked/topic/590569/Theocritus>. [ii] “Pastoral literature”. Encyclopædia Britannica. Encyclopædia BritannicaOnline. Encyclopædia Britannica Inc., 2013. Web. 13 Feb. 2013 <http://www.britannica.com/EBchecked/topic/446078/pastoral-literature>. [iii] “Virgil”. Encyclopædia Britannica. Encyclopædia Britannica Online. Encyclopædia Britannica Inc., 2013. Web. 13 Feb. 2013 <http://www.britannica.com/EBchecked/topic/629832/Virgil/24449/Literary-career>. [v] born Jean-Baptiste Poquelin, baptised 15 January 1622 – 17 February (1673).